On Sunday, November 13th, a race called "Race for life" was held for the AECC called. 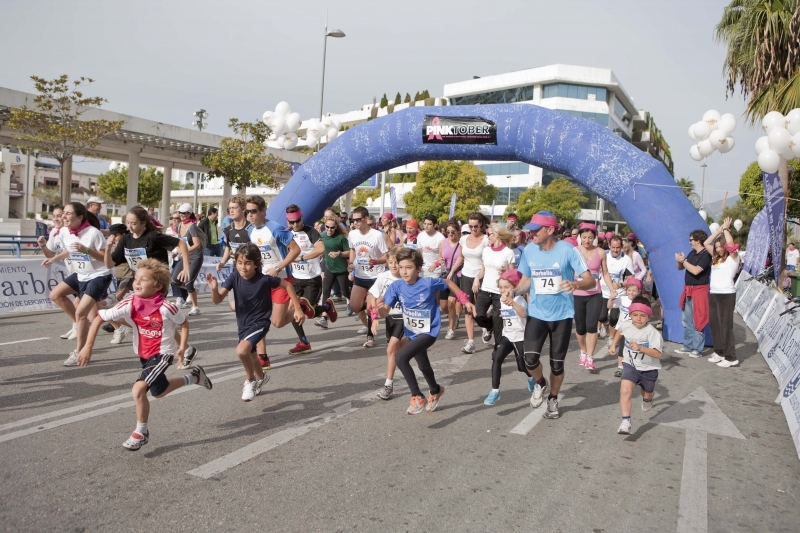 The race, that was 3,5km long, was organized by Hard Rock Cafe, the city of Marbella and the AECC, which was represented by its new president Maria del Prado. More than 500 people took part in it - some running, others on skates and others on bikes! This race had no winners and all the participants wore a pink scarf! Among the "racers" were Mayor Jose Antonio Mena Benhavis, councillor Federico Vallés sports and social welfare councillor Manuel Cardeña.